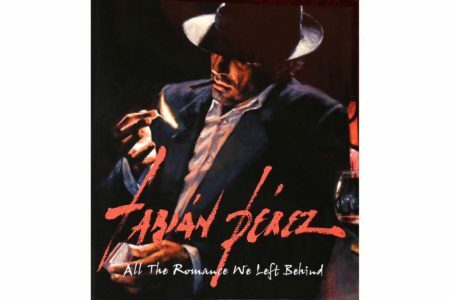 This is Fabian Perez's second book published in 2009. It is composed of 327 pages and dedicated to his first daughter Camila. “All the Romance We Left Behind” submerges the viewer into a time when children walked alone to school and the biggest risk was coming back home with a bloody nose and a few buttons missing from their smock. In Fabian's own words, "…When dance was a seduction ritual between a couple…When girls became ladies and boys became gentleman…"